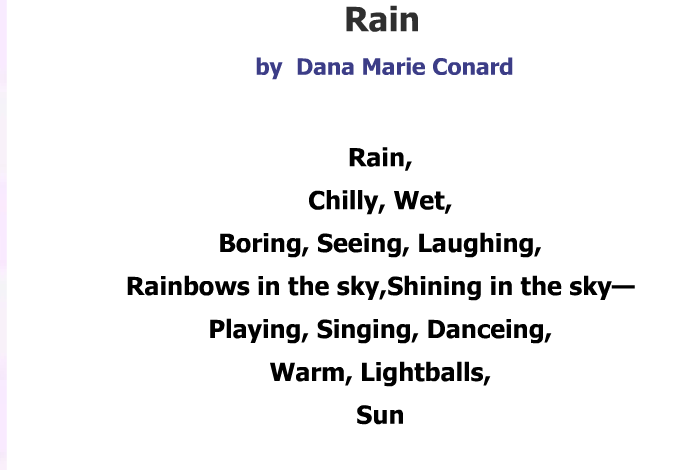 This is about the Rain and the sun.Read this to find out about the sun and Rain. This is the Secret School!! This is about cats! !Cats in town!! Crayons can talk you know! This is about No Smoking!!! In class we are learning about 0.0!For ex,1.1.you say it like one and oneths.